TechLuck - Green Energy Forum - SAFETY FIRST!! Too many Li-Ion batteries in parallel can kill ! TechLuck - Green Energy Forum › Green Energy › Green Energy Talk › SAFETY FIRST!! Too many Li-Ion batteries in parallel can kill ! 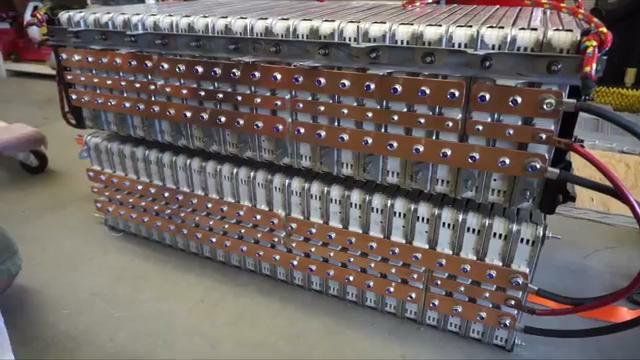 People are taking Nissan Leaf Li-Ion battery modules and connecting lots of them in parallel. Each module is capable of 500 AMPS INSTANTLY ! When you parallel many of them the amps adds together. With just 5 of them in parallel you are at 2,500 amps ! These are not like Lead Acid batteries, Li-Ions will give up their energy INSTANTLY when shorted ! Want to see why high amps is a problem? Be safe and use properly sized fuses and limit the amps of each of your stacks. Another problem people don't consider is if one module goes bad to low resistance (meaning almost shorted) then all the other modules will supply massive energy to COOK IT! 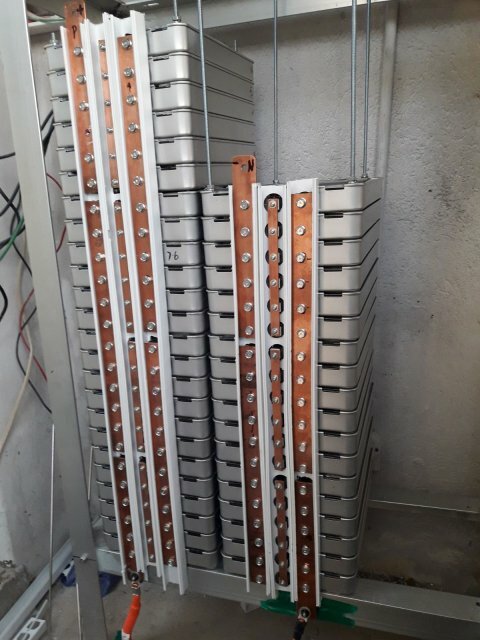 You can put a fuse for each smaller stack and safely parallel them, also use insulated tools when working with batteries. Cables between the stacks can become heaters due to their resistance and burn up. Using properly sized fuses to protect the wire type is important. Think and plan before you build your system, this is serious stuff. THIS IS A SERIOUS WARNING TO DIY PEOPLE ! DO NOT DO THIS ! THE ATTACHED PICS ARE AN EXAMPLE OF WHAT NOT TO DO ! THESE ARE A 3,000+ AMP ACCIDENT WAITING TO HAPPEN! YOU GENERALLY ONLY NEED 300A MAX FOR A 8,000W 24V INVERTER! Most people don't even need that much!